It’s been very gloomy the last few days. So gloomy even the willow branches somebody lovingly put in a planter outside the post office manage to look nothing but wet and cold. Willow branches should not look foreboding. How-To: Photographic Quilt @Craftzine.com blog. Decor Hacks | Quick, Cheap, and Stylish. A new DIY blog, via Craftzine. V and Co.: V and Co how to: jersey knit bracelet. ArtMind: How to make a scratch off lottery ticket? So clever, must use this some day. Whit’s Knits: Joelle’s Favorite Vest – the purl bee. I like this, check out the pattern to see how very simple it is. Tips for Felt Sewing Projects – ever kelly. Via Craftzine. Splityarn » easiest knitted sweater zipper install ever. So nice! This is the sediment that is left after you pour a bottle of Russian River Supplication Ale. It’s brewed with sour cherries and strains of bacteria and aged for a year in a Pinot Noir barrels. It’s delicious, sour and complex, and it’s expensive, but so worth it. Slice’s Pacific Northwest Pizza Map | Slice Pizza Blog. Reader Tip: Cut Down Flat Sheet Parchment for Cheap | Apartment Therapy The Kitchn. Pizza Protips: How to Work with Very Wet Dough | Slice Pizza Blog. celebrate CREATIVITY in all its forms: Lions and Tigers and Bears, Oh My!. Make your own animal cracks, via Oh Joy on Pinterest. Homemade Cake Sprinkles – KitchenDaily. Brew Methods — Home. Links to lots and lots of how-tos and videos of brew methods. Via @Nisedd on Twitter. Easy Garlic Bread Knots | Make and Takes. Very cute, via Craftzine. Grapefruit Margaritas, at Confessions of a Foodie Bride. I adore Smitten Kitchen. What other food blogs should I follow? | Ask MetaFilter. Grandma’s Corned Beef at Ugly Green Chair. This recipe comes with a sauce, must try this next year. One-Stop Bake Sale Resource: Recipes, Tips & More! | Apartment Therapy The Kitchn. Including a whole list of gluten-free recipes. D.I.Y. Cooking Handbook – NYTimes.com. This is my favorite inexpensive tea. It’s hard to find in your (or at least my) average grocery store and I live in fear that it will be discontinued. The last time I found it in a grocery store on sale I bought a dozen boxes and the person ringing me up must have thought I was nuts. Then again, it is high time I embrace my role as The Crazy Lady. Does that mean I can start wearing sequins at unexpected times of day? Right on. Clement Valla: Postcards from Google Earth | Apartment Therapy New York. Fun images taken from spots where Google Earth cameras distort the landscape. For more unintentional Google art see Nine Eyes, which collects interesting Google Street View images. Rules of Misbehavior – Benjamin J. Dueholm. A profile of Dan Savage, whom I grew up reading advice from. Any new TV/movies for Whedonites in withdrawal? | Ask MetaFilter. What books are particularly well-suited to the audio book medium? Perhaps even better as audio books than in print? | Ask MetaFilter. When I was listening to a lot of audiobooks from the library I would end up with a lot of YA fiction and found that I liked listening the Alex Rider series by Anthony Horowitz because the narrator, Simon Prebble, made the description of things like specific makes of skateboards hilarious, much more so because the delivery was so dry and Bond like. I can also say I much preferred the Artemis Fowl books in audio format, the narrator Nathaniel Parker did voices that would never have appeared in my head. In both of these cases the books seemed structured very much like movies which might have helped the appeal in audiobook format. In both of these cases I think I would have disliked reading the books. What are some cheap (less than $10) but satisfying luxuries? | Ask MetaFilter. The Week in Estate Jewelry: Secret Messages, Butterflies, and Bat Wings | The Hairpin. This has become one of my favorite columns. For more secret message jewelry see the suffrage pendant (last item) in Milky Glass and Tortoiseshell. Nothing happened today so instead I’ll show you the lollipops made by This Charming Candy which I got yesterday. They have amazing flavors. Today we stopped by the Bake It In A Cake sale at the Cakespy shop and managed to get some of the last cupcakes. Megan is a genius, see how lovely her cupcakes are? We got one chocolate cupcake with vanilla frosting and a cherry pie baked inside, and a vanilla cupcake with maple frosting with a banana cream pie baked inside. We also ran into Mary from Shelterrific, hi Mary! I got a mini brewing lesson from Kyle Stevens today. This stuff is a lot of work, but very well worth it. His nanobrewery is forthcoming, watch out. A Whole Lotta Nothing: My SXSW 2011 talk on lessons from 11 years of community. c h o o k o o l o o n k s – blog – occasionally technical tuesday: apertures and shutter speeds and iso (oh my!). iPhoto replacement for Windows 7…NOT PICASA! | Ask MetaFilter. Photography for Designers « Jessica Walsh. Her small studio set up. Via Kottke. Is there a way to automatically “force” Google to search for the words I typed in, without having to manually include “+” before every single term? | Ask MetaFilter. TIGSource » Gemini Rue. A game I want to check out. Everything I’ve learned about casual podcasting | fortuitous. Today I got to meet up with a great bunch of women, it was great to see Cakespy, Stephmodo, Jenny Cookies, Cathys Wraps, Mia Cupcakes, Love Big Bake Often, and Not Just A Mommmy, who did an excellent job organizing the event. And extra thanks go to Jessie for letting us gather in the Cakespy shop. Geek Books! – Evil Mad Scientist Laboratories. I want these Lego books. Spectacles at The Ugly Green Chair. A hugely helpful round up of her favorite spots to buy prescription glasses online. Final Frame: A Raw Reminder | Apartment Therapy Unplggd. Sushi note pads. I&apos;m a grown-up. I love glow-in-the-dark stuff. Suggestions? via I’m a grown-up. I love glow-in-the-dark stuff. Suggestions? | Ask MetaFilter. Where can I buy a modern, stylish necktie these days? | Ask MetaFilter. Help me find the best of Etsy | Ask MetaFilter. Moon orb lamps make every scene more beautiful | DVICE. Wow, found over at Pinterest. Today I learned that my little-er camera needs to manually be set to macro (I knew this but was in denial) and that even when in macro it still won’t focus on the point you’d like if that point is very bright. Good to know. These are some Christmas lights that currently sit where a low cocktail table will live, just as soon as I find the absolute perfect one. 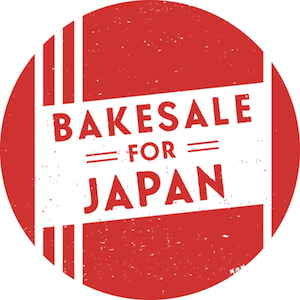 A nationwide Bakesale for Japan is being held and here in Seattle it will be at the Cakespy Shop. They are currently looking for “bakers, artists, volunteers, and lots and lots of customers”, if you think you can help see more details and get in touch here. See you there! I may have purchased too many things with stripes today.